“Oh,…she’s just going to love this”, thinks Santa Claus as he puts the finishing touches on a rocking horse that a special little girl wanted just for her doll. 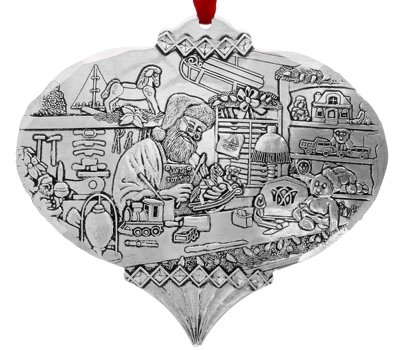 More often than not, Santa likes to put on his apron and walk to the back corner of the Workshop where he likes to tinker with the old tools that he began with so many years ago at his very own workbench. 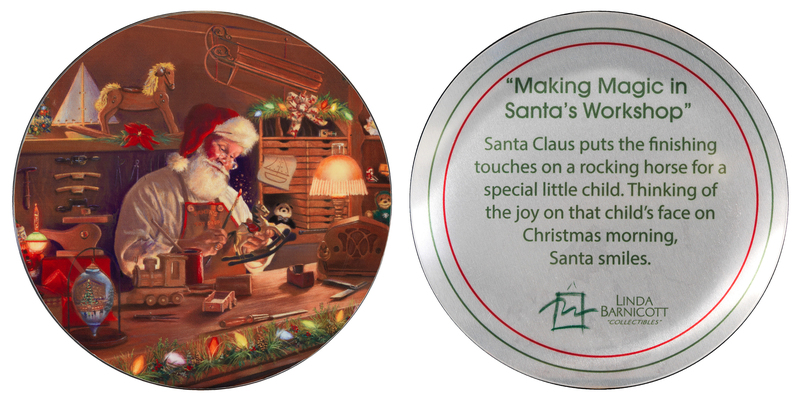 The elves could always use a little help, and Santa finds that working with his hands brings a sense of peace and relaxation. 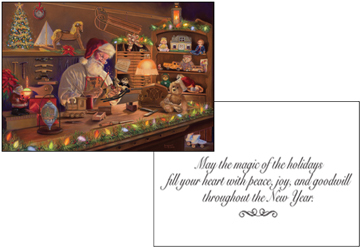 “Silent Night”, being sung by Bing Crosby, plays on the old radio from a late night radio station somewhere halfway around the world. 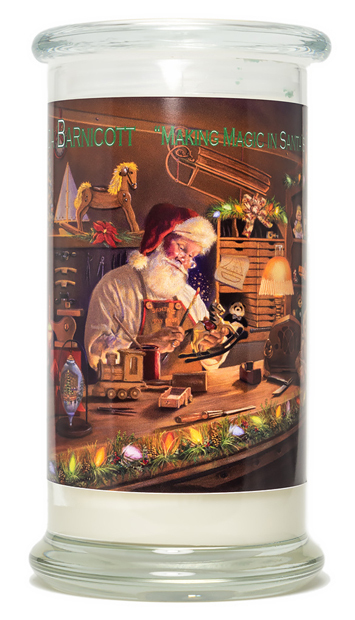 Christmas is getting nearer and all is calm, all is bright. 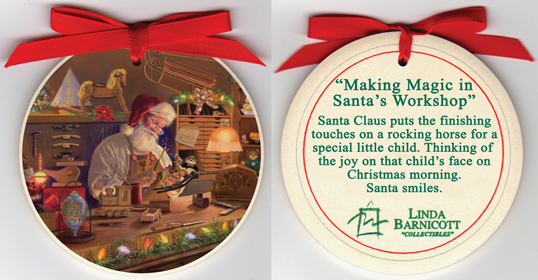 But it’s not the toy making, nor the music, that brings the smile to Santa’s face. It will be the look of joy, on that little girl’s face on Christmas morning when she comes downstairs to see the toys that were made just for her. “Making Magic in Santa’s Workshop” is the second painting in Linda’s new “Jolly Old Elf” series of five holiday Santa paintings. These metal plates are seven inches round. 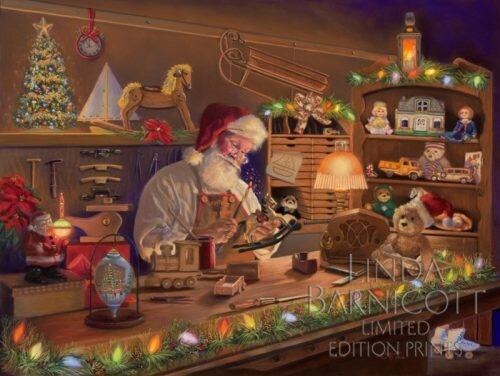 In Linda’s painting, “Making Magic in Santa’s Workshop”, we have a peek into Santa’s workshop as he works late into the night finishing a special toy that will fulfill the Christmas wish of a special little girl. This is the second in Linda’s “Jolly Old Elf” series.